I went to New Orleans Tuesday morning, parked in the 7th ward, and in a block or two ran into this. 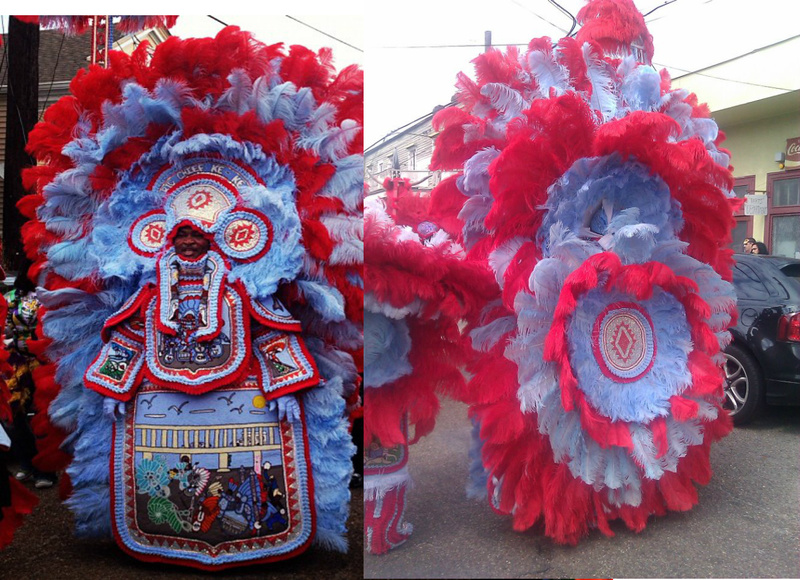 Mardi Gras Indians (or Injuns as they call themselves) are one of the many pieces of culture that make that city so unique. I never tire of looking at these suits. To encounter two Tribes milling about getting ready to march was the perfect start to my Fat Tuesday. 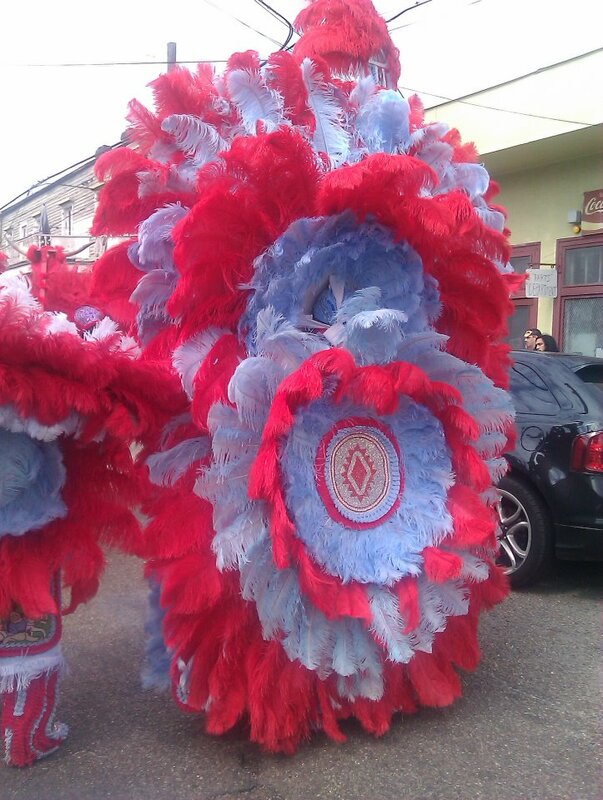 Image | This entry was posted in Uncategorized and tagged Fat Tueday, Indian Red, Injuns, Mardi Gras Indians. Bookmark the permalink.